The band appears in a short video clip on Twitter trudging through some psychedelic landscape. 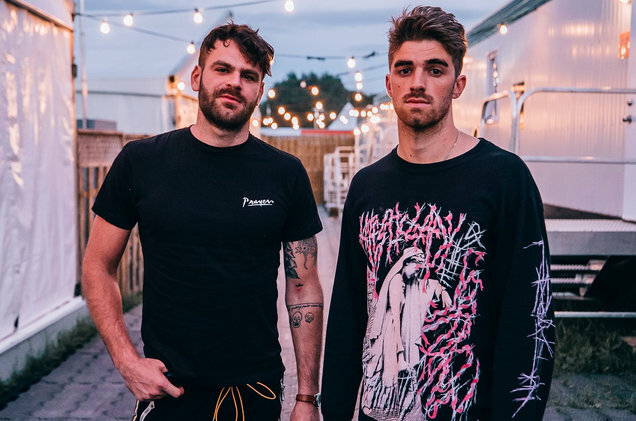 The group finds a wild Alexa in the dust and follows The Chainsmokers on Amazon Music. The Chainsmokers’ video is a lot more normal. We see the duo’s Drew Taggart and Alex Pall sitting in their studio complaining about a lack of inspiration. When Taggart asks Pall who he’s been listening to lately, Pall calls 5 Seconds of Summer “a vibe right now.” They follow the band on Amazon Music, too. Clearly, Amazon Music is a vehicle for the new single. We have yet to hear an official release date, but we’d expect “Who Do You Love?” to hit Amazon Music by the end of this week. It’s a first collaboration for the two musical acts. Watch the dual Twitter teasers below, and stay tuned for more. — 5 Seconds Of Summer (@5SOS) 4 февраля 2019 г.